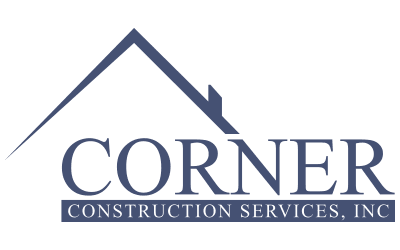 New Homes - Corner Construction Services, Inc. When people walk into your home they are seeing a reflection of you. That reflection should be everything you have ever dreamt. Corner Construction works hard to create all the personal details and touches you want in your home. There should be no restrictions on your unique requests. Production home builders like to tout “customized” homes. The truth is that their homes are cookie cutter and the builder just makes a few insubstantial changes. A few windows here, a different roof color there, and hardwood instead of carpet and they call it a day. If a customer wants “true” customization a large-production builder will mark up the price significantly over the cost. This is to reduce the number of “customizations” and increase their efficiencies and profits. Unlike those builders, Corner Construction only builds truly customized homes. We strive to meet your requirements and since we do not start with cookie cutter plans the cost of true customization is actually much less than our competitors. Since we do not build generic homes, the cost for upgrades is significantly less than our competitors and nothing makes us happier than building the best house on the block. From the first hand shake to the day we hand you the keys to your newly completed home, Corner Construction will be in complete communication with you. You are not just a lot number to us, we will know your name and you will know ours. We will guide you through every phase and walk you through each and every step needed. If ever you have a question, we have an answer and we are here to offer any suggestions when needed. Please contact us for more information on our Custom Build Residential Homes.